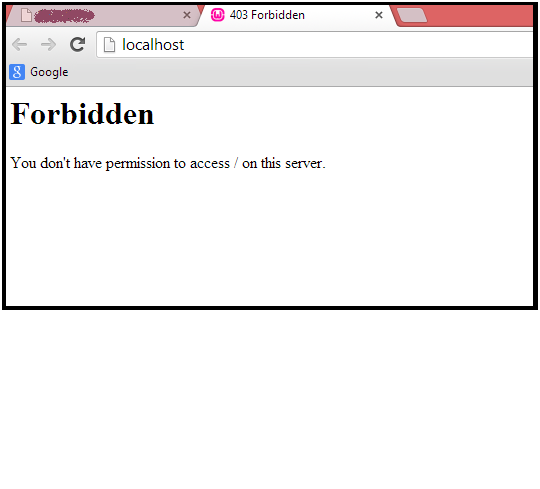 Forbidden error occurs because of not having the permission of accessing that particular page. This problem is faced by many of us while installing WAMP Server. This problem can be solved by editing .conf files. 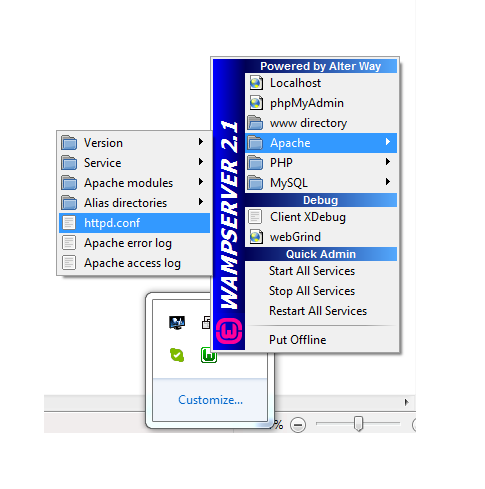 Step 1 Go to the WAMP icon(right click)->Apache->httpd.conf(click to open the file). 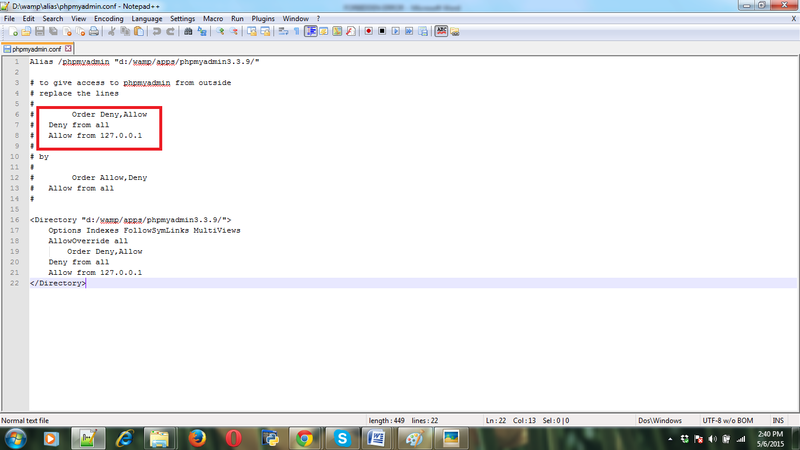 Step 2 Press CTRL+F and find the following code in httpd.conf file. Now you are done. Save the file and close it. 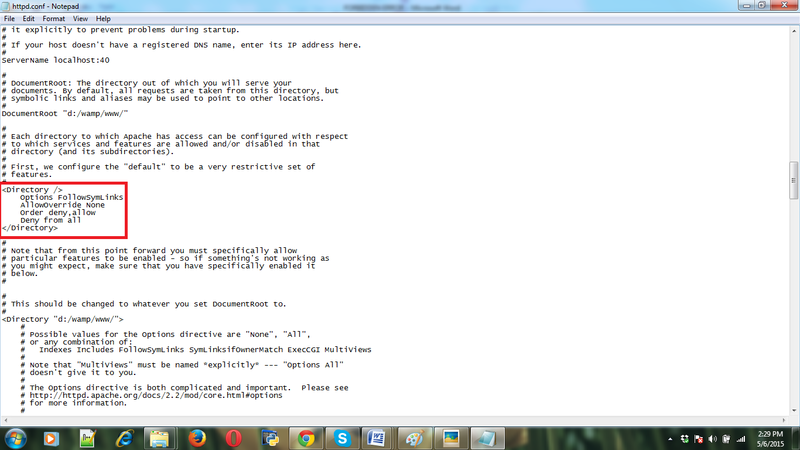 Step 4 Now again click on WAMP icon. Right click on the icon and click on start all services. 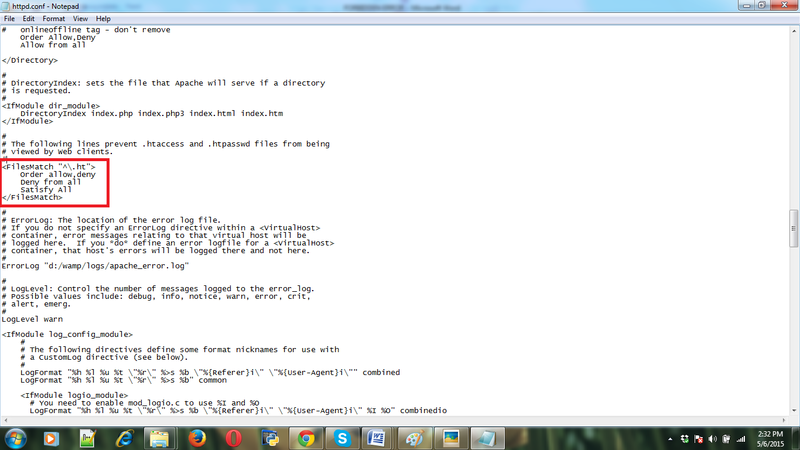 Step 5 Go to the Web Browser and write localhost in the URL and press enter. You will see WAMP will start working. Step 1 Go to the C :/WAMP/alias/phpmyadmin.conf (click to open the file). 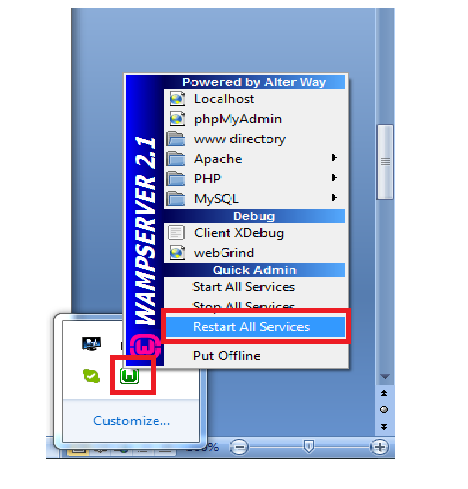 Step 3 Now restart all services of WAMP Server.